Home News What about the government’s own pyramid scheme, Ms Rudd? What about the government’s own pyramid scheme, Ms Rudd? IT MUST be about time for Amber Rudd to threaten resignation once more. 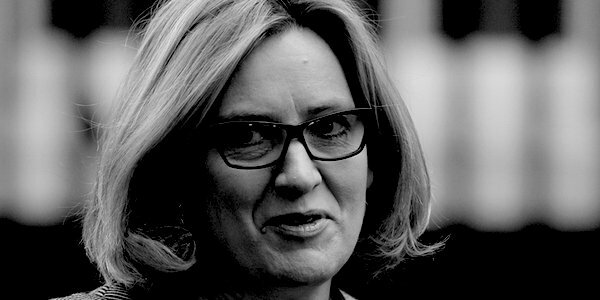 Reappointed to the Cabinet in November, Remainer Rudd immediately assumed the informal role of Minister for Opposing and Ruling-out the Option of No-deal (MORON). Amber gives the green light to ‘acts of astonishing arrogance and abandon [previously] punished only with fines’ in future incurring ‘jail time of up to seven years for the worst offenders. We’ll also give the courts powers to levy unlimited – yes, unlimited – fines’. She presumably has in mind culprits such as Carillion and BHS, although her article did not name any specific examples: the rogues she has in mind simply were characterised as ‘devil-may-care directors’, alongside an oblique reference to the ‘injustice’ of reading in the paper that the ‘fat-cat who fleeced you is boarding a private jet’ (that’s Sir Fat-Cat to you, Ms Rudd). However, to criminally prosecute such types for ‘wilful or reckless behaviour’ will require a burden of proof higher than for a civil action. Within 24 hours of Amber Rudd from the UK Government damning the ‘reckless few playing fast and loose with people’s futures’, a report by i-News exposed as an egregious example the, er, UK government. Headlined ‘Armed forces budget faces “huge” £3billion pension black hole’, the i-News story was titled an exclusive, although nothing in it came as a surprise. Indeed, the supposed revelation that ever greater amounts of the defence budget must be diverted to pensions barely constitutes news: the same can just as easily be written about the pensions payable within every other department. Across national and local government, the overall liability for unfunded public sector pensions is estimated to have hit £1.3trillion. According to the i-News story, ‘So far only the NHS has been given assurances its pensions costs will be covered in the long term.’ In fact, all this means is that for a limited period the health service alone is being doled money specifically to mitigate increased pension charges otherwise due by employees: last June Theresa May imprudently pledged ‘an additional £1.25billion each year to cover a specific pension pressure’. In other words, what i-News blithely calls NHS pension costs being ‘covered’ comes not from some reserve fund but only by government dipping into current taxation and borrowing – more of the same irresponsible, pay-as-you-go basis of financing that brought about this pension predicament. Furthermore, the public sector pension shortfall is dwarfed by the enormous accumulating liability for state pensions; adding the two, the total unfunded ‘bill that needs to be paid to cover the shortfall from the past, which will have to be met by the workers of tomorrow’, is assessed to have already reached £5trillion. That the UK ‘has built up £7.6trillion in pension promises but has only set aside about a third of that amount to pay for them’, is accurately described by Steve Webb as ‘mind-boggling’. Impossible to argue with that; however, it should be noted that the mind-boggled Webb is in fact the former LibDem MP who was Minister of State for Pensions in the Coalition Government – a period during which the country’s overall pension liability rose by £1trillion. Despite Webb’s part in this failure, within months of losing his seat at the 2015 election he had glided into Royal London, the UK’s largest mutual insurer, as director of policy and in 2017 became Sir Steven. Steve Webb was part of a government that took the rap for imposing so-called austerity but which actually only slowed the rate at which expenditure rose. Not only did the Coalition continue spending more than it received, adding more debt for its successors to service, it also hiked the liability for unfunded pensions. For now, this bubble is likely to further expand. Amber Rudd writes that she is determined to ‘curb freelancers playing fast and loose with your cash’. However, unlike those whom Rudd seeks to criminalise for ‘saddling [their company pension] with massive unsustainable debt’, there will be no punishment for politicians who have perpetuated the government’s own pyramid scheme and similarly put the country into hock for pensions.